Pastel demonstration to my class of how to create depth and composition. View of box hill from the scout hut. 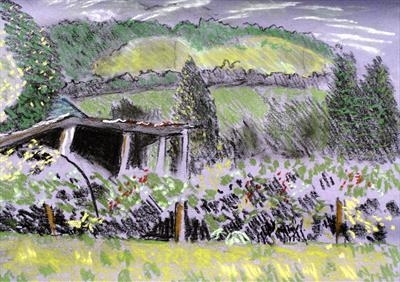 Painted in pastel from the back of Pixham Lane, Dorking, Surrey, UK, looking up at Box Hill across a field.